Want an idea of what your property might be worth? This widget is an Automated Valuation Model or AVM. An AVM is a service that uses mathematical modelling to value properties. This AVM software lets you find out the estimated value range of a property in a suburb. It also shows you some of the most recent property sales in the area. These sales may not be directly comparable, but because the system knows the history of the properties, they are part of how it calculates current price movements in the area. Fairly good. They are based on sales of similar local properties in a recent time scale. The price range returned will always state the degree of confidence the system has about the range it has given you. Where does the sales information come from? RP Data CoreLogic compiles and tracks every real estate transaction in Australia as they occur. It uses sophisticated algorithms to predict the likely selling price of the property based on what it knows about the area. It doesn’t know if the property has had any renovations or extensions since it last sold. To refine the figures requires a physical inspection of the property by an experiences real estate professional. Are you thinking of selling? Consider getting a local agent to provide you with a detailed and personalised appraisal. Someone from a First National Gold Coast office will contact you to discuss your options, after that it is up to you. Presenting your home at its best can make a major difference to the profit you receive on the sale of your home. But what maintenance and cleaning task will have the most impact and how can you add style and atmosphere to your home without breaking the budget? 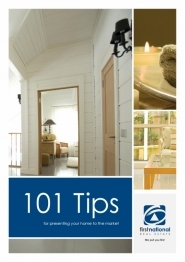 To help make it easy, we have created a value packed booklet with 101 tips on how to present each room and area of your home, both indoors and outside, to help you attract more buyers for your property. This step-by-step guide offers affordable and easy to implement ideas that will make the most of your home’s most appealing features. To help your transition, we have created a comprehensive brochure that guides you through the process. 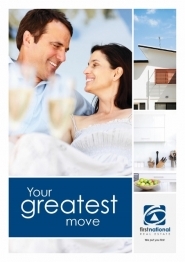 The easy to read booklet assists those looking to sell their family home and move into a Retirement Village. The guide is designed to introduce you to the life and benefits of a Retirement Village, as well as the process of purchasing your property. To help make it easy, we have created a helpful Checklist and Profit Plan that guides you through the process. 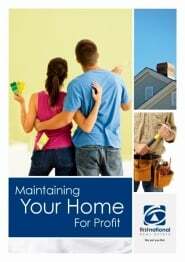 The easy to read booklet offers the tips used by real estate industry professionals on their own properties backed by financial expert knowledge and the expertise of property related tradespeople. The guide is designed to help you maximise the capital growth of your property over time to ensure you profit as much as you can once you decide it’s time to move on.